Meet a doctor who combined his own family’s medical experiences and an interest in new technologies to create a new solution to unsightly — and often unhealthy — varicose veins. The aging of America’s population has brought to the forefront not only a need to advance treatments for major diseases, but also to address ailments seldom in the spotlight. Varicose veins, a bane to mankind for centuries, have been taken for granted as part of the aging process. But anyone, at any age, can develop varicose veins, as a result of valve failure that occurs from leakage, calcification or other causes. “Varicose” is a term used to describe superficial leg veins underneath the skin that have become enlarged and swollen because of valve damage. Valves in healthy leg veins ensure that blood in the legs makes its way back to the heart, where it can be oxygenated and re-circulated. They allow the blood to flow only in one direction, moving up, against gravity, toward the heart. Without them, blood would never make it back to the heart for recirculation. While one surgical procedure called stripping has been used to alleviate the worst varicose problems, innovative and minimally invasive treatments have emerged that address the problem and reduce pain and inconvenience for the patient. A fascination with computerized minimally invasive medical procedures, coupled with a family history of varicose veins, motivated Dr. Rimas Gilvydis to found the Northern Illinois Vein Clinic (NIVC). Here, patients of all ages, with all levels of varicose vein disease, find help. Gilvydis grew up in Franklin Village, Mich., a northwest suburb of Detroit. He attended the University of Michigan, earning a B.S. in biochemistry, and then went on to Wayne State Medical School, Detroit, where he earned his doctorate. Gilvydis became interested in specialized treatments for varicose veins during his interventional radiology fellowship at Chicago’s Rush-Presbyterian-St. Luke’s Medical Center, now called Rush University Medical Center. His fellowship class was the first to learn the new minimally invasive treatment for varicose veins. During surgical vein stripping, patients are given either a general or spinal anesthesia. Cuts are made near the top and bottom of the vein section to be removed. The surgeon threads a thin, flexible plastic wire into the vein through the upper incision and guides it down to the lower incision. The wire is connected to the vein and the surgeon pulls it out through the lower cut. The operation takes one to one-and-a-half hours. Patients need about six weeks to heal fully from this invasive procedure, which can be painful and leave scars. The news that there were newer, less-invasive procedures motivated Gilvydis to study and apply the new techniques. During his pursuit of more advanced training in interventional radiology, he took a two-year neuroradiology fellowship at Washington University in St. Louis, where he met Dr. Frank Bonelli. Gilvydis began performing radiofrequency ablation treatments in SwedishAmerican’s cath lab. Encouraged by the excellent outcomes and a growing patient referral base, he decided to open a dedicated outpatient vein clinic, where he could concentrate on varicose vein treatment. NIVC opened in October 2004, just a little more than three years after Gilvydis finished his fellowship. 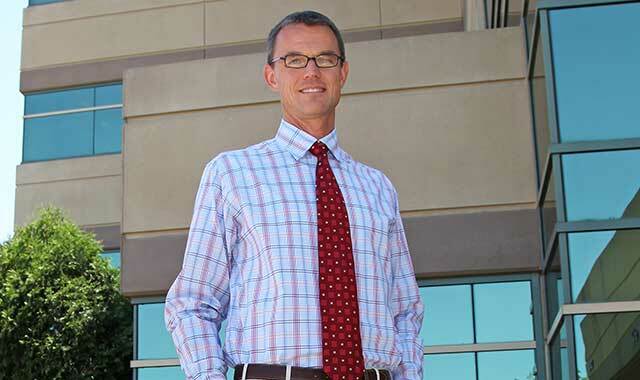 Before opening its doors, he researched and developed a plan for the unique clinic. In America, varicose veins affect 50 to 55 percent of women and 40 to 45 percent of men; one out of two people age 50 or over is afflicted to some degree. Symptoms include fatigue, a heavy feeling in the legs, aching and burning, throbbing and itching, ulcers that won’t heal, cramping and restless leg syndrome. Any combination of these symptoms may bring patients into the clinic. In addition to using EVLA, which uses laser energy to shrink and seal varicose veins, NIVC also offers ultrasound-guided foam sclerotherapy as a follow-up to laser treatments, to close and seal any affected branches of the primary vein. As a final procedure, NIVC does light-guided foam sclerotherapy, to close reticular veins with a milder solution, to remedy spider veins. The entire treatment is stepped over a month. Patients typically describe a significant improvement in their quality of life after treatment. Gilvydis performs other interventional radiology procedures at SwedishAmerican as well, including peripheral arterial disease treatments, uterine fibroid embolization, interventional oncology (hepatic chemoembolization) and more. Although he’s been performing minimally invasive varicose vein treatments for 11 years, many physicians and patients are still unaware this treatment exists. As he expands and refines the services of NIVC, Gilvydis knows that continual learning and improvement are the hallmarks of excellence in his chosen field. “I’m looking forward to the future and all of the tremendous possibilities that technology and medical breakthroughs will bring to my patients,” he says. This entry was posted on Friday, April 12th, 2013 at 11:57 am	and is filed under Northwest Business Magazine. You can follow any responses to this entry through the RSS 2.0 feed. Both comments and pings are currently closed.